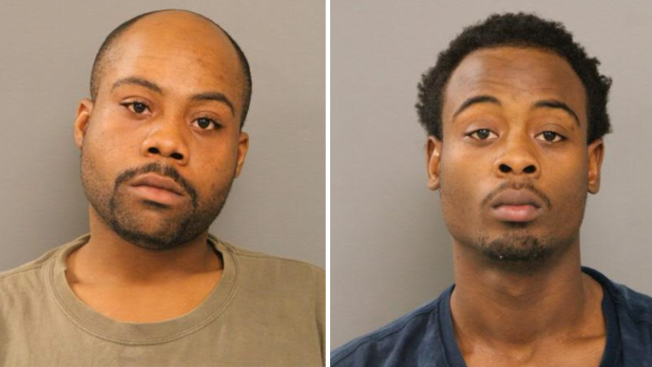 Two men were charged after two police officers were pushed and bitten while responding to a domestic disturbance Friday afternoon in the Englewood neighborhood on the South Side. Davon Sumerall, 19, and 24-year-old Demonte Sumerall each face one felony count of aggravated battery to a peace officer and a misdemeanor charge of resisting arrest, according to Chicago Police. Davon Sumerall was also charged with two misdemeanor counts of aggravated assault to a peace officer. The officers were responding to calls about a domestic disturbance at 1:44 p.m. in the 6800 block of South Elizabeth when they were attacked, police said. They were taken to a hospital with bite wounds. The men, who both live on the same block as the incident, were taken into custody Friday, police said. Court information was not immediately available.